In his 2014 book, How We Learn: The Surprising Truth About When Where and Why It Happens, science reporter Benedict Carey suggests that much of what we are taught about how to study efficiently and how to promote learning are mistaken. Drawing on cognitive psychology and learning sciences research, as well as his own educational experiences, Carey argues that old adages about keeping one’s nose to the grindstone, studying in a quiet, dedicated study space without distractions, and continuously practicing a skill until it is perfected are not the best ways to promote memory and learning. In fact, distractions, interruptions, sleeping, daydreaming and leaving work (temporarily) unfinished all have been demonstrated to increase learning. Carey’s integration of historic psychological studies, the newest learning research, and practical application of that research will make this book appealing to anyone interested in developing strategies for making their learning process more efficient. Carey begins by describing the anatomical and cellular structure of the brain as it relates to memory. Drawing on well-known research about a man named Henry Molaison (HM) Carey shows the importance of the hippocampus, a seahorse-shaped structure in the brain, for memory consolidation. Memories are stored in throughout the neocortex, on the thin outer part of the brain. Research into HM as well as other work in the field, supports the idea that we have episodic-, semantic-, and motor-memories. Over a century of research about memory and forgetting suggests that using our memory changes it. Although forgetting increases as time passes and as a function of the memory’s storage strength and retrieval strength, forgetting is not necessarily bad; it is actually an effective way of filtering information. Carey transitions to discussing the ways in which we can harness our memory to retain information. More important than the number of hours spent studying is the way study time is distributed. Cramming can help a student get over an immediate hurdle, but the student is unlikely to remember that information in the more distant future. Conversely, spacing study time over a longer period and requiring one’s mind to recall information over multiple study sessions promotes long-term retention. Learners should interleave practicing different but closely related skills or types of knowledge. Interleaving slows initial learning, but it bolsters pattern recognition, selection of appropriate strategies, and switching among those strategies. Studying in multiple types of environments, including environments with diversions, can promote retention, but test performance is enhanced when the test and study contexts are similar. Self-testing is important because people easily fall prey to the illusion of knowing; they believe they are more fluent with a topic than they are. Quizzing can help people gauge more accurately what they really know, and actively bringing to mind what they know reinforces that piece of information. Carey describes how we come to understand information and solve problems. Intentionally taking breaks when working on something we are motivated to master—whether that break is to check Facebook, exercise, converse with a friend, or sleep—allows ones mind to passively or subconsciously work through a problem and may lead to a moment of insight. Carey suggests starting large creative projects early so that they feel doable and so that there is more time to let ideas percolate. People may have a fixed view of the elements involved in a problem. Stepping away from the problem, allowing for a period of idea incubation, and reimaging the problem can help people work through an impasse. A proper sleep diet is a passive way in which our subconscious helps us learn. Carey says we should not view sleeping as lost learning time; rather we sleep to learn. He describes the contributions of each of the four stages of sleep plus REM. He proposes strategies for how to alter sleep patterns in order to achieve different learning goals. Carey says that our species’ competitive niche is our ability to think and learn. Long, hard hours of studying alone and a fear of academic failure are not the keys to success in school or in learning. Valuing curiosity, a motivation to learn, and the restlessness of our “inner slacker,” whose desires are contrary to traditional wisdom about studying practices, leads to robust learning outcomes. Carey, B. (2014). How We Learn: The Surprising Truth About When, Where and Why It Happens. Random House LLC. Thank you Rebecca for summarising this book. I have just finished listening to the audiobook and was wondering how to summarise this for myself so that I can translate the wisdom from this book into my own learning process. Your summary was perfect! Rebecca JM Gotlieb is a doctoral student at the University of Southern California. Her research interests focus on how social, emotional, and moral phenomena affect a person's learning and development on behavioral and neural levels. 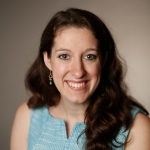 Rebecca worked at Abt Associate conducting research about teacher professional development and teacher preparation programs with an emphasis on their impact in high needs schools. She received her Bachelor's degree in Psychology from Dartmouth College, where she worked also in the Educational Psychology lab. Rebecca has served as a religious educator for four years and is a mentor to and advocate for students with disabilities and health issues.